I’m delighted to announce that during a recent trip to explore Clara Bog, I discovered a small population of waved fork-moss (Dicranum undulatum), a plant up until then thought to be extinct in Ireland. 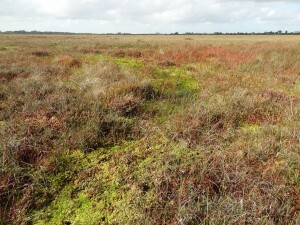 It was previously known from only four other raised bogs in Offaly. Last seen in Ireland in 1960, its known sites have been seriously damaged by peat harvesting. The sites and other raised bogs in Offaly that were in reasonable condition were searched fruitlessly for the plant over 2005-2009. 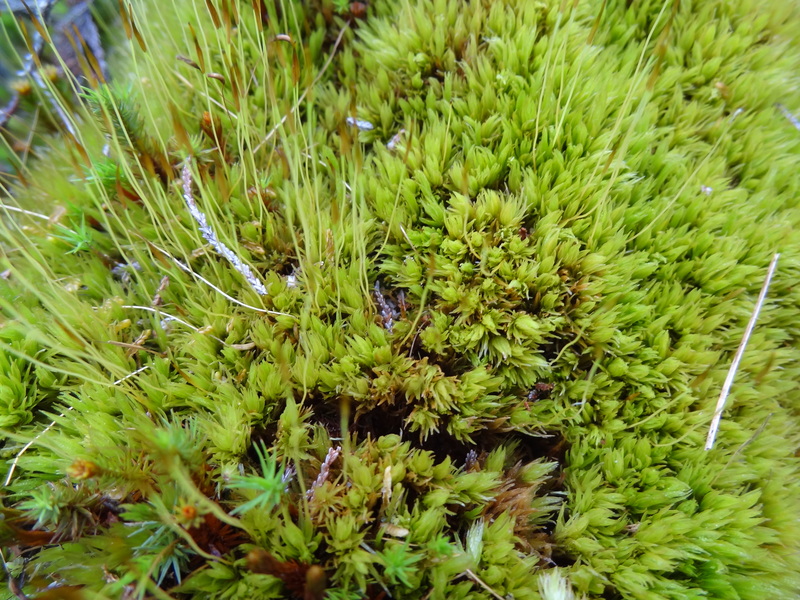 Because the only known populations could not be found again and because of the damage caused to raised bogs in the area due to turf cutting, waved fork-moss was judged to be extinct in Ireland in the recent book on the Rare and Threatened Bryophytes of Ireland. 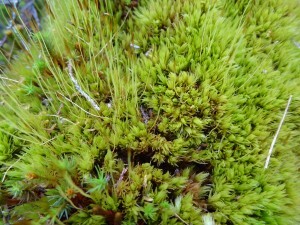 Elsewhere in Europe, waved fork-moss is a plant with a northern distribution found in bogs, poor fens and peatland pine forests. Like Ireland, it is rare throughout most of Europe, except for Scandinavia, and is declining as a result of peat cutting, drainage and afforestation. 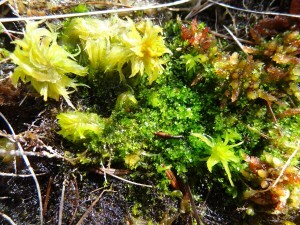 In Britain, it also mainly grows in intact raised bogs, where it is considered Vulnerable to extinction. 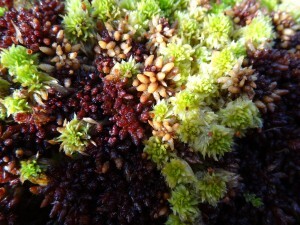 Waved fork-moss’s “reinstatement” in Ireland is very good news for nature conservation in Europe as well as Ireland. 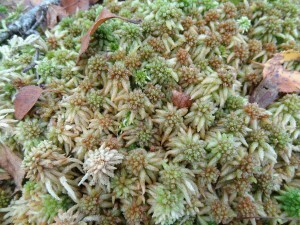 The fact that waved fork-moss has been re-found gives us a second chance to conserve a species we thought was extinct. Opportunities like this don’t come around very often. The fact that it’s in Clara Bog makes the job of conservation a little easier, as the bog is a state-owned Nature Reserve and is managed by the National Parks and Wildlife Service. 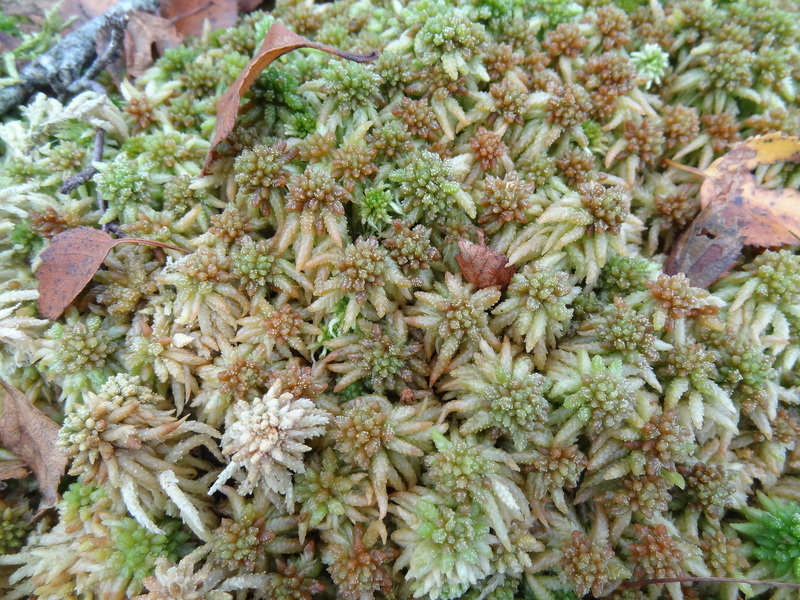 It may be that the work blocking drains and rewetting the bog that has already happened there is responsible for the survival of waved-fork moss. This little plant is a perfect example of the biodiversity that can be lost if we fail to conserve and restore our raised bogs. Waved fork-moss and other bog specialists can only survive on wet, intact bogs, which are rapidly vanishing from the Irish landscape. 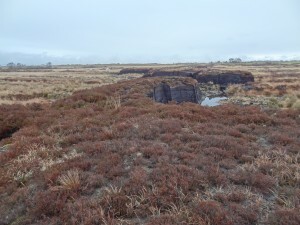 The National Raised Bog Special Areas of Conservation Management Plan and the National Peatlands Strategy, soon to be finalised, may give us a second chance to conserve our raised bog resource. But they will only be up to the task if they are robust and properly implemented. We won’t have many more chances. Special thanks to Gordon Rothero of the British Bryological Society for confirming my identification. UPDATE: The Irish Times ran an article on this on 19 June, which you can see at this link. UPDATE 2: And the Tullamore Tribune ran a nice article with some pictures. There was a nice closeup of the plant in the print version. I will be running a small beginner’s bryophyte (mosses and liverworts) identification workshop tomorrow for the Clara Bog Visitors’ Centre. It filled up rapidly and there are no places left. Disappointing for those of you who aren’t able to attend, but a sign of great enthusiasm out there for getting to know bryos. The workshop will focus on learning some of the mosses and liverworts of Clara Bog, which are the real ecosystem engineers of the wetland. Maybe someday I’ll write about them in a little more detail, but not yet. I’m a member of the British Bryological Society (BBS) “which exists to promote a wider interest in all aspects of bryology”. I’m also the regional recorder for County Offaly. That means it’s my responsibility to collect and manage biological records of mosses and liverworts from the county and more generally help the study and conservation of bryophytes. I decided to take on the role of regional recorder for Offaly for a few reasons. One is that trying to get to know the mosses and liverworts of a whole county is a great incentive for getting out there and learning more. Another reason is that Offaly’s bryophytes are very poorly recorded. That means that finding firsts, like first county records of a species, is pretty easy. So I don’t have to work too hard for the lovely warm feeling of accomplishment! One of the under-recorded parts of Offaly is actually Clara Bog. When I started as regional recorder, the BBS only held records of seven mosses and liverworts from there! This low number of biological records is incredible, because the high conservation value of the bog has long been known. 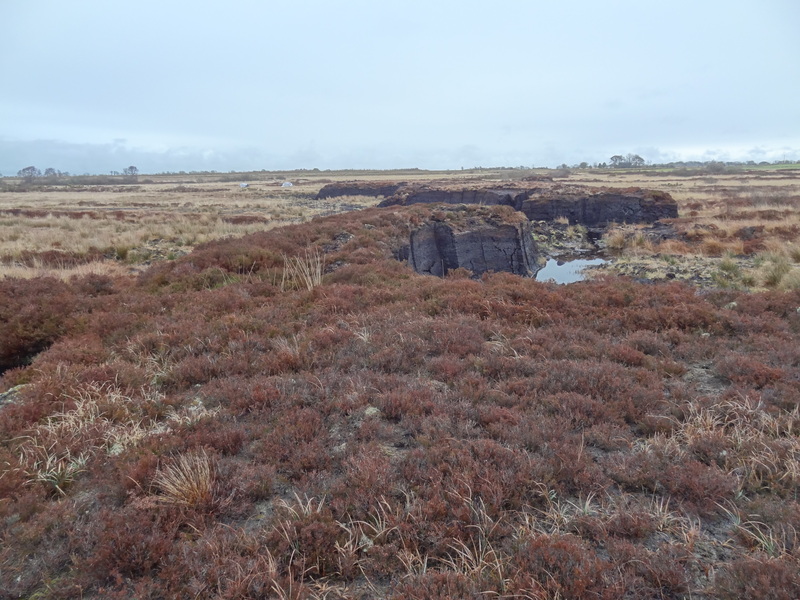 Ecologists have been visiting the bog for years, and it’s been the site of intensive research by Irish and Dutch ecologists and hydrogeologists since the late 1980s. Pages and pages of research reports based on Clara Bog have been produced, and these have resulted in only seven records properly collated in the BBS database. 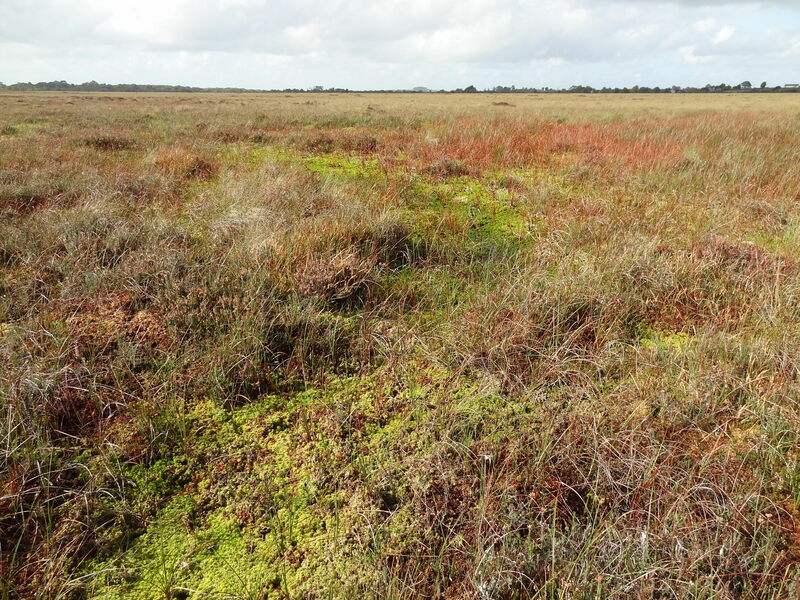 And because the National Biodiversity Data Centre mainly relies on the BBS for its biological records of bryophytes, that means there are only seven records for Clara Bog held by the national clearinghouse for information on biodiversity. Obviously, lots of people have neglected to hand in records of bryophytes (and probably lots of other organisms) to the relevant recording societies and the National Biodiversity Data Centre. This is a huge problem. Without biological records telling us what species and habitats are present where, it makes it very difficult to make informed decisions. Good biological records are important for telling us what species are rare or declining and thus might need measures put in place to conserve them. Conversely, some species might be thought of as being rare and in need of special protection, when in fact they are simply under-recorded. Good biological records are also important for telling us what sites are of special conservation importance. We need this sort of information to prioritise conservation activities, even more so when the money is tight. If you were to decide whether Clara Bog was worth preserving based solely on bryophyte records, you might look at the seven mosses and liverworts listed as being present in the site and decide no, there’s nothing special there*. And you would be very wrong. For those ecologists out there reading this, submit your records! All of us, including me, are guilty of sitting on biological records we’ve collected in the course of our work or recreation. Submit them to the National Biodiversity Data Centre or to the relevant recording society. For those of you reading this who hire ecologists, allow and encourage them to submit records from your development sites. The Chartered Institute of Ecology and Environmental Management encourages members to share biological records in its Code of Professional Conduct, as long as commercially sensitive and personal data are safeguarded. Finally, if you’d really like to help do your bit for the mosses of Offaly, I’ll be leading another beginner’s day out on Saturday 12th October in Charleville Wood for the Offaly Naturalists’ Field Club and BBS Irish Regional Group. * Well, no. Really you wouldn’t, because one of the records is for Tetraplodon angustatus, narrow cruet-moss, a legally protected species only found in one place in Ireland: Clara Bog. But you see what I mean, right?